Elle Decor, House Beautiful and Veranda Magazines have named Town Center Interior Design as the sole preferred Interior Designer for Southern Nevada. The Team at Town Center Interior Design is steeped in New York City roots paired with over 30 years of experience in Las Vegas. Town Center Interior Design Team is inspired to create daring styles from West Coast Luxury to Beach Chic, from Mid Century Modern to New Eclecticism. The Team at Town Center Interior Design offers you the ease of working with degreed Las Vegas Interior Designers. Our Town Center Interior Design team provides exceptional service and design expertise. Working with a Town Center Interior Design professional can make all the difference; Town Center Interior Design can help you create a cohesive look that is representative of your personality. Town Center Interior Design also specializes in re-design or staging your condo or home. It’s a perfect time to contact Town Center Interior Design. 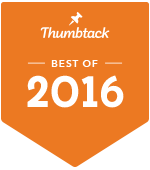 READ MY REVIEWS ON THUMBTACK! 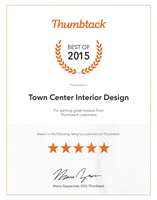 Town Center Interior Design is ranked as one of Thumbtack’s Best of 2015 in the Home Staging category as a result of your great customer reviews. Copyright 2014. Town Center Design. All rights reserved, worldwide.